We’re on the hunt for a rad, style savvy and charismatic UK based Female Downhiller to rep 250LONDON kit this season. It’s not about your results! We’re looking for a girl who rides a lot, races a lot, likes to look good, even when covered in mud, takes every photo opportunity going and has a busy and active social media presence. If you fit the bill and are not tied into a deal with any other clothing brand, but would love to be involved with a young, independent, design led, British MTB clothing brand like 250LONDON, then please fill in the form below because we’d love to hear from you. 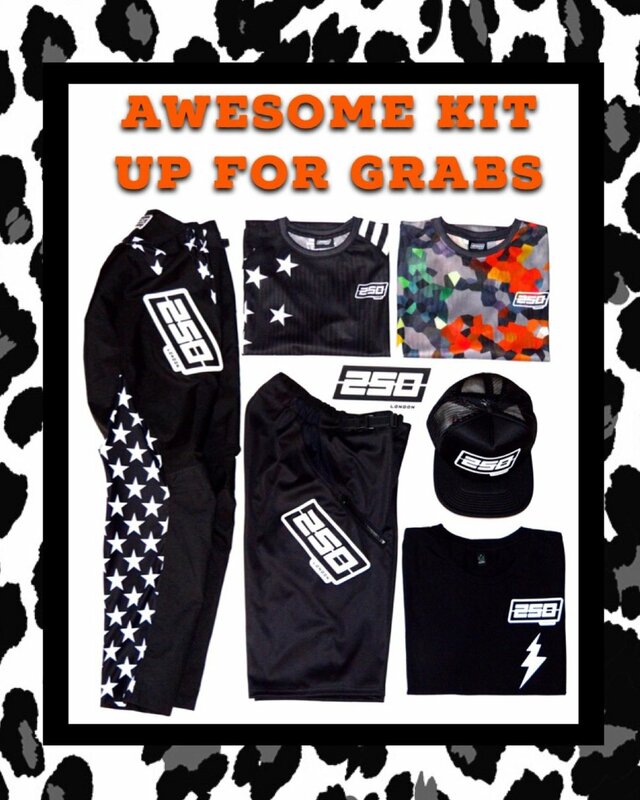 We’re offering some seriously cool 250LONDON kit: DH Pants, MTB Shorts, Moto Jerseys, Tees + Truckers and some other goodies and accessories. We’ll get back to you in due course once we’ve reviewed all the applications. Thank you!